The new mobile-friendly and responsive website for Marshall Dry Goods is now LIVE! VisionAmp started the update of the website by changing the overall color scheme. Now, visitors are welcomed with bright colors and professional photos of the products offered by the company. With thousands of different fabrics to choose from, visitors can now easily shop for fabrics by using pre-set filters. Marshall Dry Goods, located in Batesville, Arkansas, is a fabric manufacturer with over 24,000 of their very own designs. It is also one of the largest inventories of woven cotton and poly cotton fabrics worldwide! 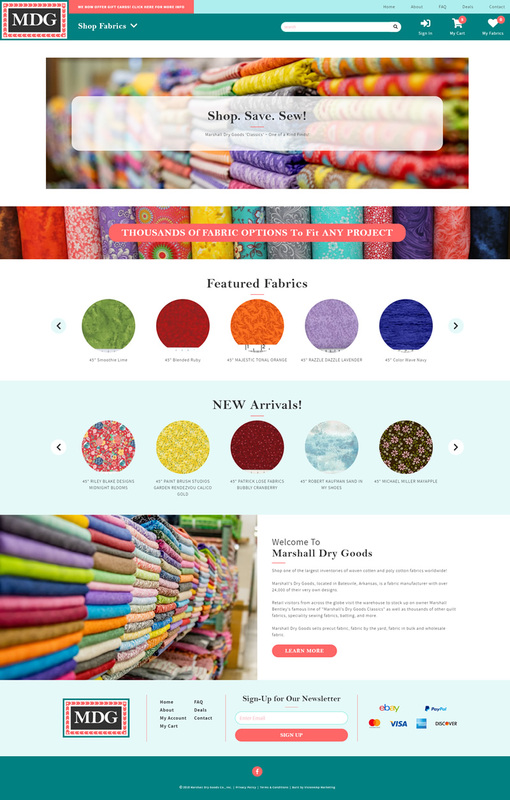 Marshall Dry Goods sells precut fabric, fabric by the yard, fabric in bulk and wholesale fabric.